On Sunday 13th July 2008 eleven Minors, a Singer Nine and an Aston Martin Le Mans set out for a run to the coast during the course of that year’s VMR Rally. 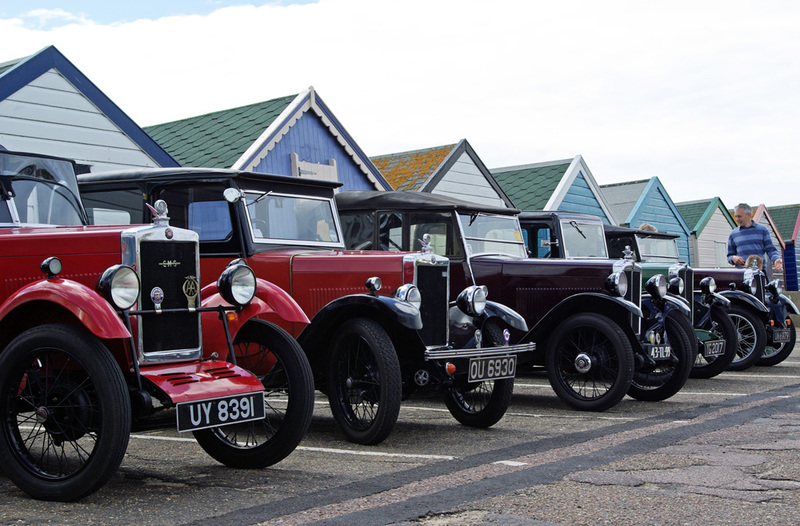 Their destination was Southwold, Suffolk’s favourite seaside resort where five Minors can be seen parked behind the town’s famous beach huts. A similar run is due to take place this June at the forthcoming PWMN rally, although the destination (for now) remains under wraps.